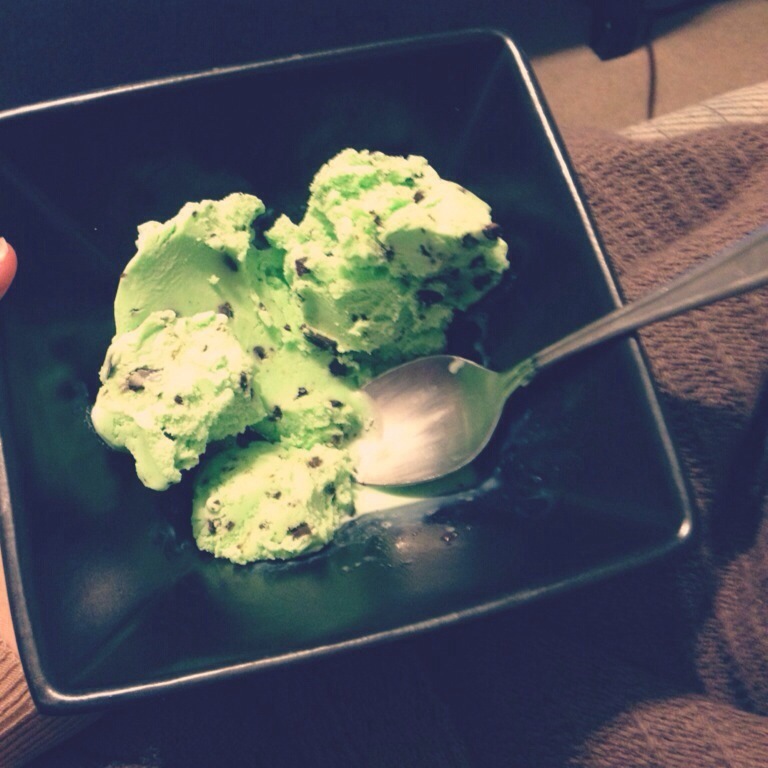 Lately I’ve been craving mint chocolate chip ice cream. I’ve been trying to limit myself, since ice cream isn’t exactly healthy. But that doesn’t always work out so well for my stomach. Last night I found myself feeling extremely hungry right before bed. I went into the kitchen to find some food and absolutely everything sounded sickeningly disgusting to eat….except for mint chocolate chip ice cream. Since I had already indulged in a bowl earlier that day, I decided not to have another. I choked down a piece of bread with honey (something I usually enjoy) and went to bed. I woke up this morning yet again wanting…. You got it, mint chocolate chip ice cream. Isn’t pregnancy strange?? I’m constantly surprised at all of the strange things happening to my stomach. Besides the obvious growing bump, I’ve also been dealing with my increased appetite, the strange cravings and aversions, random nausea, intense heart burn, and feeling full sooner than I actually become full (Archer doesn’t like to leave my stomach much space these days). And although I can not wait to have my body back, from my old waistline to my normal eating habits, there aren’t many better things in this world than feeling the baby inside your womb move around. Sometimes I get frustrated at my heartburn or weight gain, and Archer does a little flip inside of me, reminding me that those things don’t really matter. 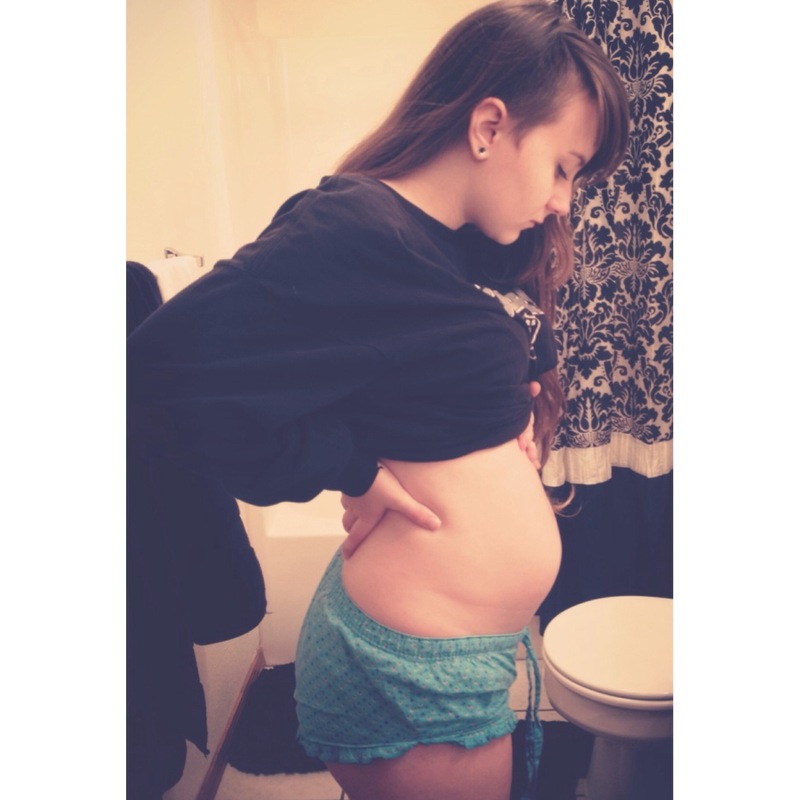 My body is growing another human being! The body of my sweet baby boy, whose tummy I can’t wait to kiss and whose toes I can’t wait to tickle. Six months pregnant. Time is flying! Archer is approximately a foot long and weighs over a pound. He can hear many sounds from outside the womb, is developing his sense of taste, and moves often. One of the joys of pregnancy is getting to feel baby move. Those little flutters in my tummy let me know that he is OK; he is growing and alive and may even be aware of my movements and my voice. Lately, Archer’s movements have been even stronger and Nate has been able to feel him move. The secret joy of Archer moving is no longer mine alone, but can be delighted in with his father. Movement demonstrates life. If something can move, if it can change and grow, it shows that it is living. 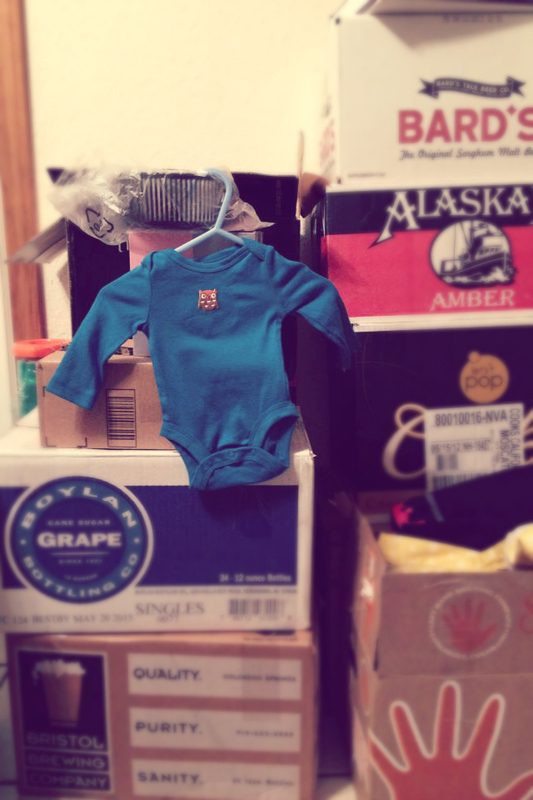 Babies move, even in the womb, in their tiny confined spaces. Plants move, and change throughout the year as summer turns into fall and they are forced to stop the process of photosynthesis and drop their leaves. And sometimes, people that we love move. They move to distances that we can not walk to or drive to or see every day. They need to move, because, in some strange way, the change helps them to grow. Our move to Arkansas was a big change for Nate and I (and in a way, for baby Archer). Within just a month, we left our families, our friends, our old jobs, the city and state we grew up in, our apartment, our culture, and the youth group that we poured our hearts into for two years. And all of this during the excitement of a baby coming. If I said it was easy to do, I would be lying. But if I said it was the wrong thing to do, that would be a lie as well. I know that we are where God wants us to be. And I know that this change, this movement, will produce many good things for our whole little family. From Archer’s little kicks and flips in my womb, to our almost 1000 mile drive across the country to our new home (including a drop in altitude of over 4,000 feet), our lives have been full of movement lately. Movement isn’t always easy. It isn’t always free of pain. But it is exciting. It can be beneficial. And it demonstrates life. I can’t wait to see what happens next.